Moellers Bakery is one of Houston's Best Kept Secrets. 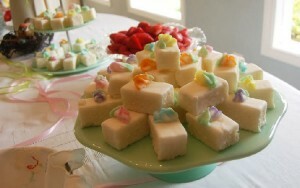 Just check out this delicious display of petit fours! When the craving for sweets overwhelms us, we West University Place residents head across the street to Moellers Bakery, at 4201 Bellaire Blvd. This is a tradition as old as our neighborhood. Moellers (www.moellersbakery.com) has been serving up fancy cakes since 1930.